Last year in the US, 84% of total healthcare spending—a whopping one trillion dollars—went to managing and preventing chronic disease. But chronic conditions and diseases—such as obesity, cancer, heart disease, diabetes, arthritis, and stroke—aren’t only economically draining; they’re also the leading cause of death. Seven of ten Americans died last year due to chronic disease. It turns out, we don’t need a miracle drug to prevent or improve many chronic diseases—often, simple behavior changes are enough. The problem is, these simple changes can be the hardest ones to make. Anyone who’s made and rapidly broken a new health regimen knows this well. But for individuals with chronic disease, this lack of positive lifestyle change leads to increased hospital readmissions, worsening of the condition, and even fatality. This isn’t exactly an unknown quantity. Diet apps, fitness trackers, and even outpatient management programs are all trying to crack the problem of sustained positive behavior change, but daily push notifications and prescribed routines don’t actually push the needle much. Maybe what we need is something smarter—software than not only records our behavior but communicates conversationally and makes recommendations. 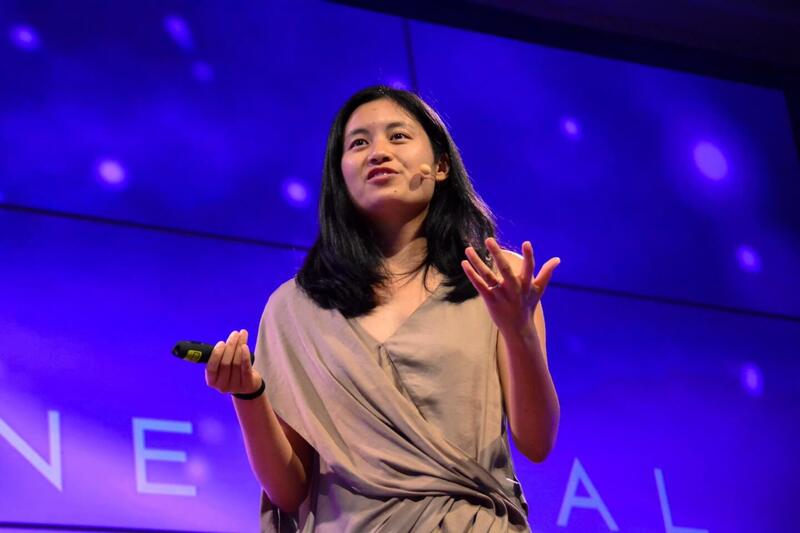 This week at Exponential Medicine, Julia Hu, cofounder and CEO of Lark, showed how she’s reimagining chronic disease management and prevention with Lark, a personalized artificial intelligence coaching app. Hu created Lark to put a personal healthcare doctor in everyone’s pocket. When first setting out, she envisioned a solution that talks with and supports users in their health journey and at any point throughout their day. Until recently, such a chatty AI wasn’t really possible. And certainly not shrunk down on your phone. 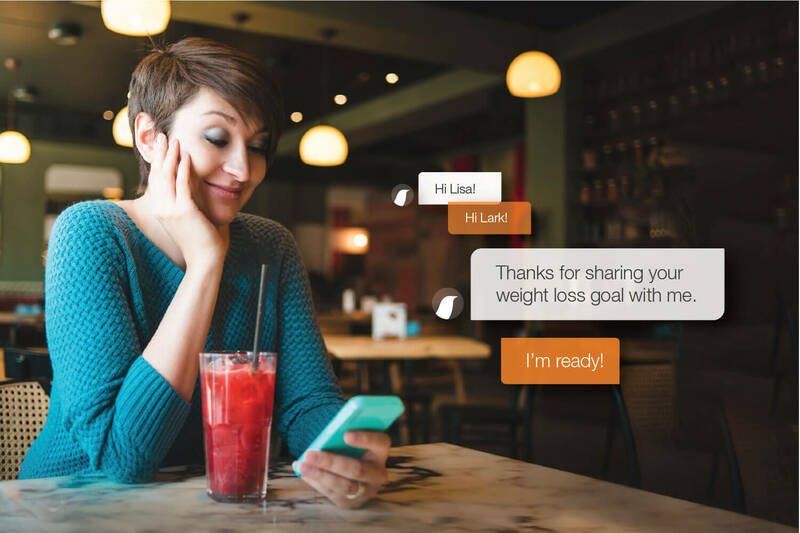 But now a finished product, Lark does just that, offering individualized coaching on nutrition, weight-loss, activity, and sleep to users with an iPhone, Apple Watch, or Android device. Let’s say your health objective is to lose weight and lower your blood pressure. You’re about to eat your morning meal: Lark greets you by name and asks if you’ve eaten breakfast. You say you’re just sitting down, and Lark asks what you’re eating. “Eggs, bacon, toast, and coffee.” Lark logs the food, reminds you this is your third time eating bacon this week, and recommends you choose a leaner option. This method isn’t just a guess at what works. The Lark team tapped top health specialists across multiple sectors—nutrition, diabetes, and so on—and conducted research with leading faculty at Harvard and Stanford, thought leaders in positive psychology and positive behavior therapy, and even top professionals in compassion training. The team also worked with a Stanford-trained NBA and Olympic coach to record how and when coaches intervene with clients, and then cloned the correct interventions in Lark’s behaviors. The results so far are promising. A recent study showed users texting with Lark for three minutes a day were 23% healthier than prior to using Lark. Why’s that so important? Sure, we might reduce a few of those dollar signs at the start of this article. But really, it’s about improving quality of life for people and helping them live longer and stay healthier. It’s about changing behavior. While we can’t all carry an MD in our pockets—that would be expensive and, frankly, awkward—we can and already do bring our phones along. And maybe a sophisticated AI coach in your pocket is what could make you rethink the next time you reach for the bacon. You can follow the latest at Exponential Medicine here.